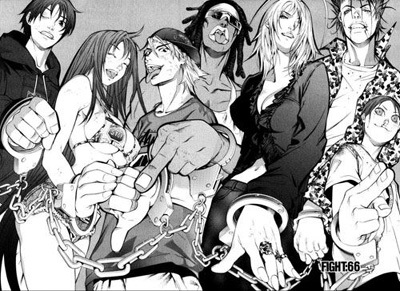 My only gripe about Tenjou Tenge is that it was just too short, it felt like there should have been another series. 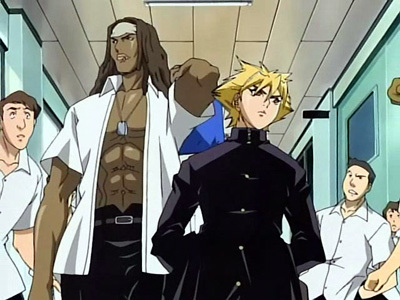 Besides that, this was quite enjoyable to watch, felt like watching King of Fighters or Rival Schools. Did get quite dark at times, especially the story involving the older brother, which they edited into a movie. My favourite character from the show is Bunshichi Tawara, only because under the cool exterior lerks a savage beast ^_^.